/ The Power of Now! When was the last time you remember being “in the moment”? Here is a question for you: For how long have you managed to stay ‘in the moment’? If you were to give yourself a score, how many points would you score? What exactly do we mean when we say ’now’? Whatever you’re doing, are you doing it with all your heart and soul, do you stay ‘in the moment’? As you walk home from work, would you want to take time to talk to a sweet child who smiled at you as you passed by, or do you think you should go straight home and cook? You walk fast to get home and eat, then you are at home and eat dinner with your family, but you think of watching a match and when you watch the match, you think about how you will wake up tomorrow morning. When you meet your friends, have you ever noticed how engaging the speaker is or how attentive the listener is? Are they ‘in the moment’? Are you aware of what is going on around you or do you keep worrying about the long forgotten past or the uncertain future? Life is the sum of fleeting moments. The moments change as you shape them. According to Track Your Happiness, a scientific research project that investigates what makes life worth living, people who live in the present live a happier and a healthier life. Unfortunately, we observe that the number of active listeners and speakers has visibly decreased with the introduction of technology into our lives. Psychologists define past regrets and future worries as anticipatory moments. You cannot change what happened in the past, you cannot know what the future holds for you. You cannot touch the past or the future. However, you can only tap or touch the moment you live in and relive it to create a better present. You need to understand how important it is to stay in the moment. You wake up to a brand new day. It is in your hands to shape that new day. Even though sometimes we forget it in the fast pace of life, and there is something I think you should keep in mind: Every day is a new adventure, the creator is nobody but you. So, you better start without any further delay. Each moment of life is so beautiful, happiness is just a grasp away! P.S. 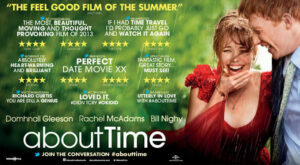 : Editors pick – you want to live your life the fullest, we suggest you watch a wonderful movie called “About Time”, it might give you some fresh ideas!